The hotel offers a restaurant. Wireless Internet access is complimentary. A business centre is on-site at this 3-star property. 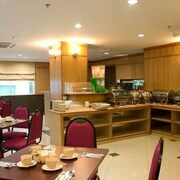 This Kota Kinabalu hotel also offers dry cleaning/laundry services, room service (during limited hours) and a lift. 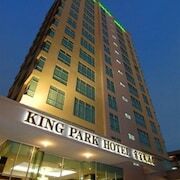 King Park Hotel Kota Kinabalu is a smoke-free property. 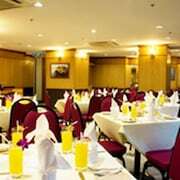 Located in Downtown Kota Kinabalu, this hotel is within a 10-minute walk of Sedco Square, Centre Point and Gaya Street Sunday Market. Imago Shopping Mall and Filipino Market are also within 1 mile (2 km). A restaurant, a business centre and dry cleaning are available at this smoke-free hotel. WiFi in public areas is free. Other amenities include a 24-hour front desk. 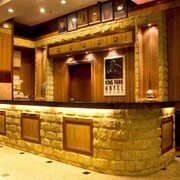 All 112 rooms offer free wired Internet, room service (during limited hours) and TVs with satellite channels. Guests will also find coffee/tea makers, showers and phones. 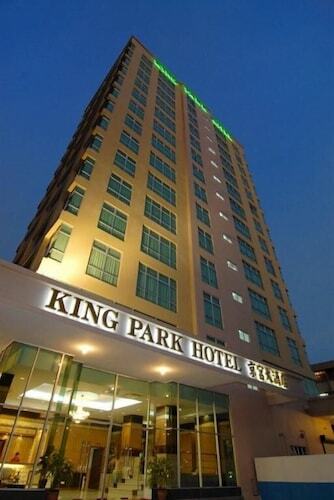 King Park Hotel Kota Kinabalu offers 112 forms of air-conditioned accommodation with coffee/tea makers. Satellite televisions are provided. Bathrooms include a shower. This Kota Kinabalu hotel provides complimentary wired Internet access. 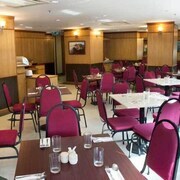 King Park Cafe – This restaurant specialises in international cuisine.